Polish Folklore Import Co., Inc. was founded in the mid 1950s with the idea of introducing imported products from Poland which preserved the traditional art forms, craftsmanship and culinary customs of the country. 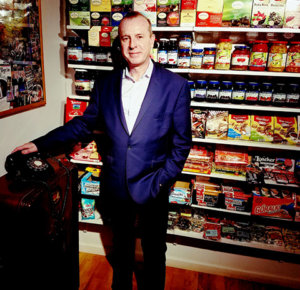 Its intention was to bring back the memories and tastes of the region to a wide range of European immigrants living in the Midwest and to introduce the local population to it. 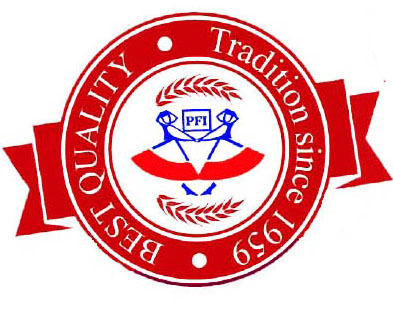 Today, PFI is the oldest Polish importing distributor in Chicago that has brought some of Poland’s best brands to Chicagoland area and beyond. Our company distributes over a thousand different European products to hundreds of stores in the US. All of our products are of the highest quality and are made with natural ingredients and do not contain preservatives or artificial colors. Client satisfaction has been our ultimate goal from the very beginning. 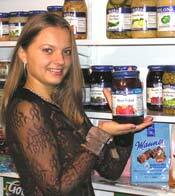 We invite You to try Polish Folklore Import Co.’s products so you can become a believer too! Our team is what we are proud of. Over the years, John’s careful search has produced a “Best Products for the Best Price” list that has grown to include over a 1000 different European products and varieties. 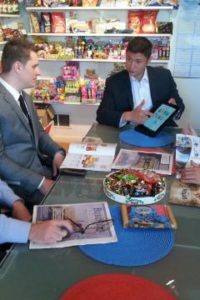 It is Polish Folklore Import Co.’s intention to follow through with the very same passion and commitment that founder John Mielski did from day one. Nowadays, Polish Folklore Import Co. is still in the hands of the Mielski family. Bogumiła serves the company’s president and continues to carry on John’s work. Jakub has over ten years sales and product experience. With the help of well trained and knowledgeable staff, Christopher manages the daily workings of the company and carries on John’s legacy across the United States. Marta has been with Polish Folklore Import for the past seven years managing the front office.